This version finally adds support for opening and saving documents in the 92t format and working with large 92i pictures(240x120). Hibview support was improved based on users' requests. 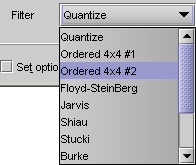 Three new styles were added: suffix, conjugate and variable margin. Note: These features are supported only by Hibview. If you choose TxtRider/uView as an output format then these extra features will be discarded. As with a professional editor you can use line highlighting and bracket matching. Also enhanced scrolling with the middle mouse button is now available. 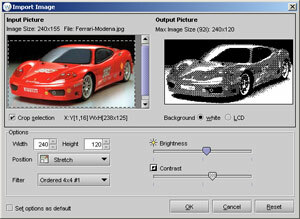 This new dialog will reduce your time with a working of the pictures. 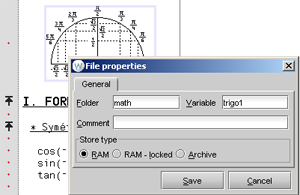 You can easily update basic properties for images(folder, variable name...). Simply double-click on the picture in the editor. I like good looking pictures. Therefore, I added new image filters(current count is 12!) working with different algorithms to reach best output results for given input picture. You can view the complete list of included filters and their comparisons. I didn't forget to work on new useful shortcuts(Ctrl+W for selecting word/line/document) and to fix minor bugs :-). Also, I hope that you will like the new Substance Look&Feel.